You can have the regular version of Apple AirPods in any color you want, as long as that color is white. There are no other options. So Caviar saw an opportunity. It’s taken standard pairs of AirPods and upgraded them with new colors, either black or red/burgundy. The charging cases are also re-colored to match. These get the Caviar logo in real gold to boot. All this boosts the price of these colorful AirPods to $590, up from $159 for a standard white pair. There’s also a version where the case is sheathed in carbon fiber for $720. They can be ordered today from the Caviar website. 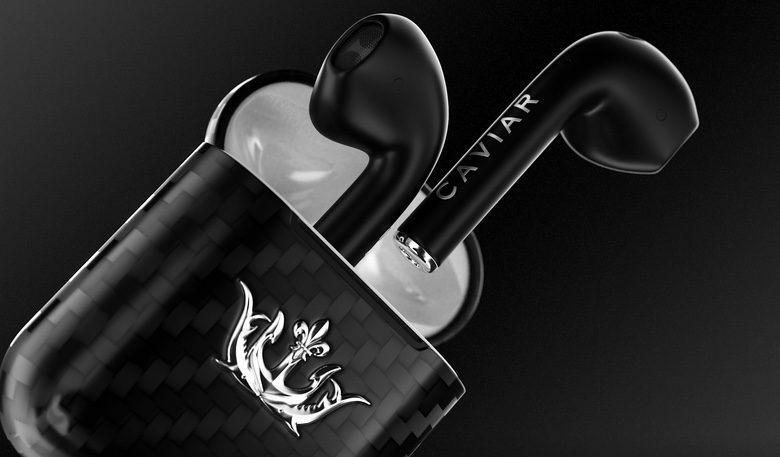 To be clear, this Russian company is starting with regular Apple earbuds and redecorating them. The functionality isn’t changing. Caviar is best know for taking phones and covering them with gold, like its $15,000 iPhone XS Max. But it doesn’t stop there, and many of its devices have themes. There’s an iPhone 8 model that salutes President Trump ($3,550 and up), and a similar iPhone X for Russian President Putin ($4,092). Some of Cavair’s offerings are just beautifully overdone. Its Grand Complications series adds a gorgeous mechanical watch to the iPhone XS series ($6,570).